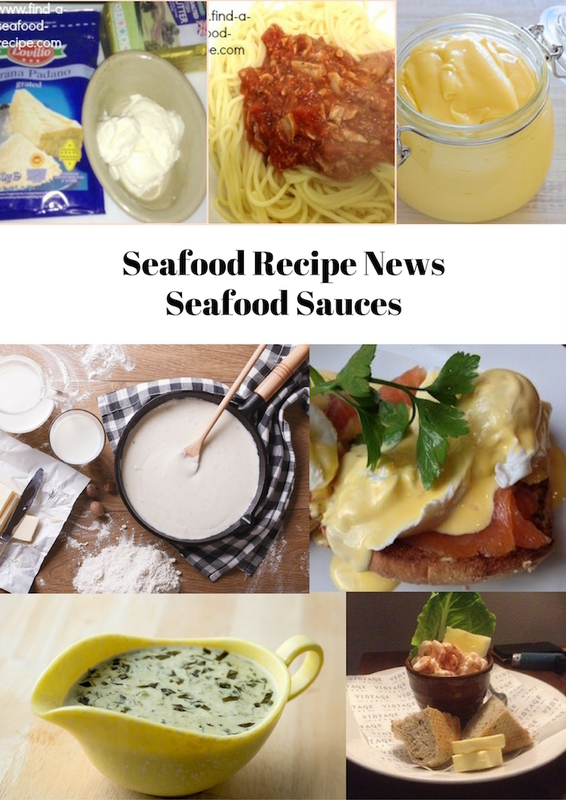 I love seafood appetizers and this issue of Seafood Recipe News is bringing you seven sensational recipes that you'll love. 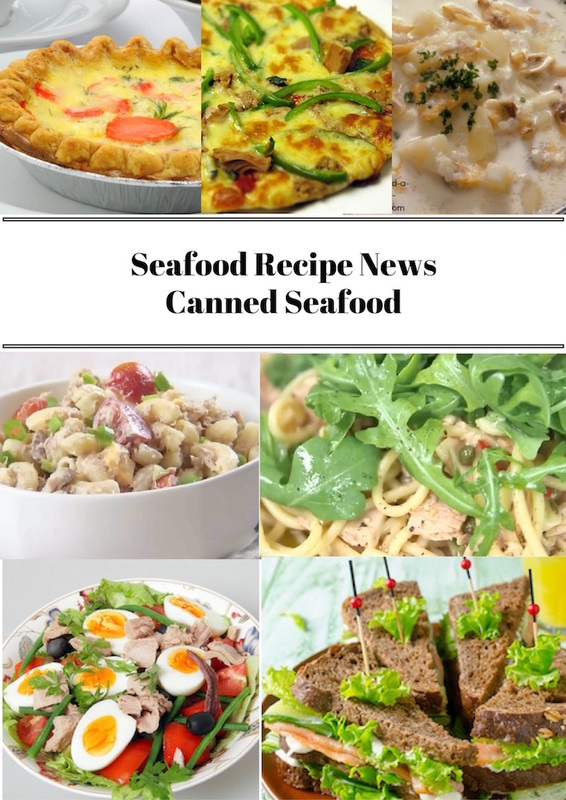 One of the best things about seafood appetizers is that most of them are make ahead which means that you can get them ready in advance, pop them into the refrigerator and then you're free to concentrate on the rest of your meal. I adore smoked salmon and at its simplest, you need to serve the slices with a wedge of lemon, freshly ground black pepper and buttered brown bread. Gorgeous - and takes minutes to prepare. You can buy smoked salmon offcuts very cheaply for making pate, so you've got the luxury of it but at a fraction of the cost. Shrimp are another great standby, whether in a cocktail or fried in garlic butter - you'll need finger bowls for people to rinse off their hands and a dish for the discarded shells. Don't forget you can use the shells to make a bisque once you've finished with them. 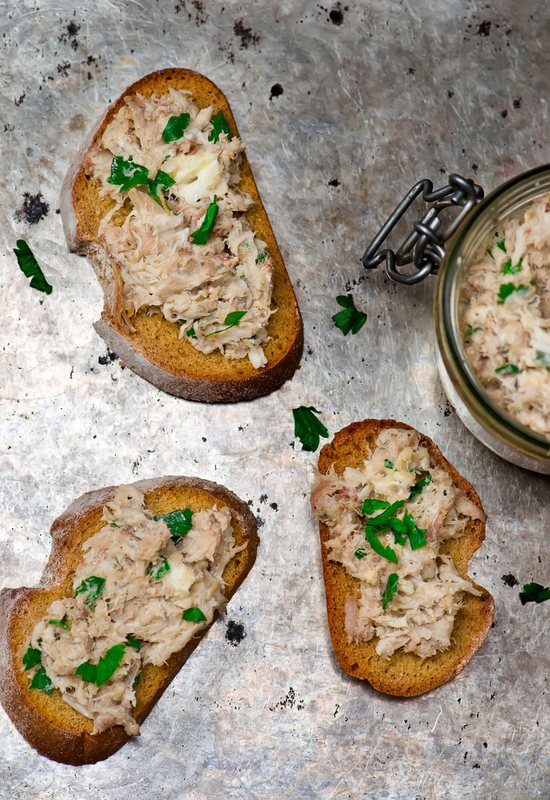 So, first out of the trap is a real favourite in our house - smoked mackerel pate. There are step by step instructions with photos to help you make this. It is so simple, two ingredients and some seasonings - can't get much simpler really. I use a food processor to help me make this, but you could just as easily use a fork to mash it all together, it will be more chunky. I often find smoked mackerel is marked down in the supermarkets, it doesn't seem to be as popular as other fish. So, if you see it, buy it and put it in the freezer to use when you fancy some. 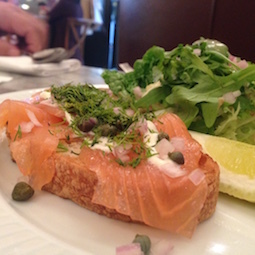 This smoked salmon appetizer is gorgeous and again, really simple. There's capers and dill with it and a mustard sauce to make. It can be prepared ahead, just assemble it at the last minute so as the sauce doesn't make the bread soggy. Perfect for a special meal or double up for a light lunch - nice glass of sometime cold and fizzy, wonderful! 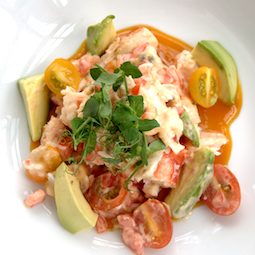 Beautiful Crab with Avocado and a mayonnaise dressing or make it less rich by using lemon and pepper to taste. This is another perfect prepare ahead appetizer. Brown bread and butter is one of the best things to serve with this - you could use crusty bread or just serve it on its own. 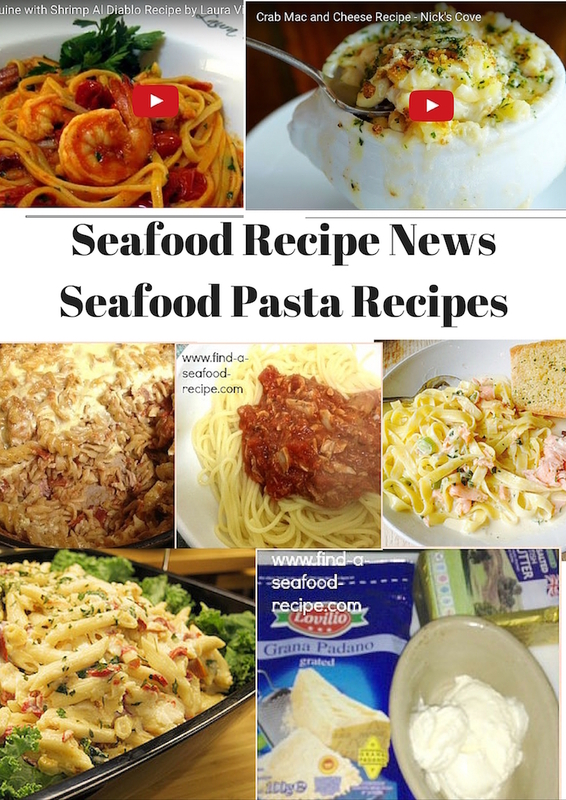 You can buy ready dressed crab, frozen crabmeat or dress your own. It's not hard to do but it can be a bit fiddly. Ask your fishmonger to loosen the shell for you if you want to dress your own - you can open them with a stubby knife, like an oyster knife, but sometimes, the shells can be a bit tough. Again, don't throw away the shells - use them to make a frugal bisque, the flavour comes from the shell and if you just keep a couple of the very thin legs back, you'll get enough meat out of them to garnish. 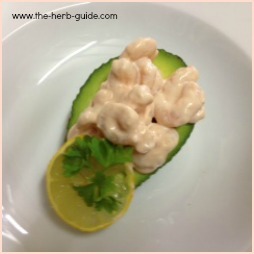 Very simple Shrimp and Avocado Cocktail - basically it's a standard shrimp cocktail but using a half avocado instead of shredded lettuce and a bowl. 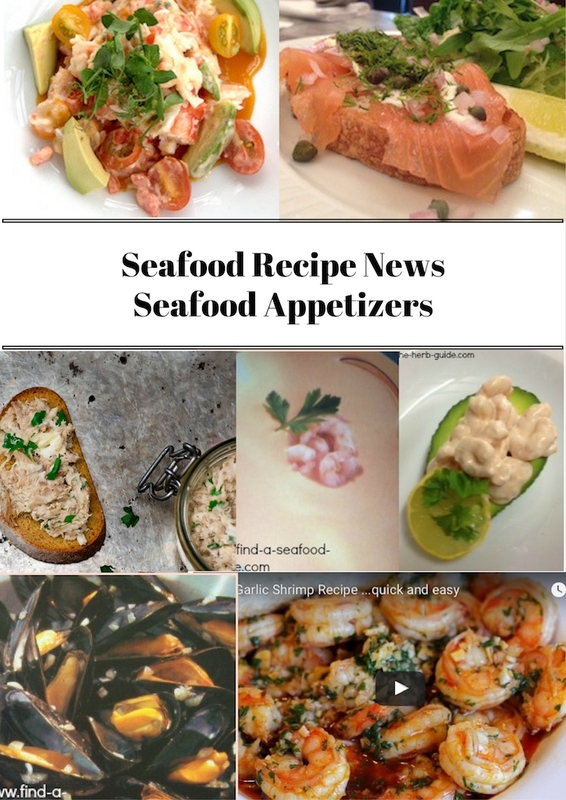 It is another prepare ahead seafood appetizer - they are so useful when you're planning a meal, as it leaves you free to concentrate on other stuff. Buy your avocados before the date as they can be a bit tough if they're not properly ripe - if there's a bit of give in the end, then they should be ripe, but don't press too hard as they bruise easily. So, I keep saying it, but here it is. 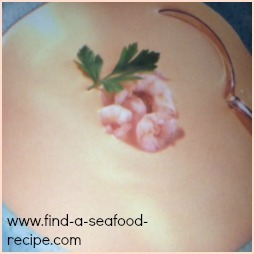 If you look at this Seafood Bisque recipe, you get two for the price of one - the first one is a Lobster Bisque and very fine it is too - the second recipe is what I call my 'Frugal Bisque' and it's where you just use the shells that you would have otherwise discarded after eating the fish itself. Don't be afraid to try it - you really wouldn't know that it hadn't been made by using a whole lobster, crab or a pound of shrimp. Serve it with some crusty bread or sliced brown bread and butter. You can make it ahead and just re-heat it gently when it's time to serve. If you've had a lobster/crab/shrimp and you're not ready to try the frugal bisque, then pop the shells in the freezer and pull them out when you're ready to try. 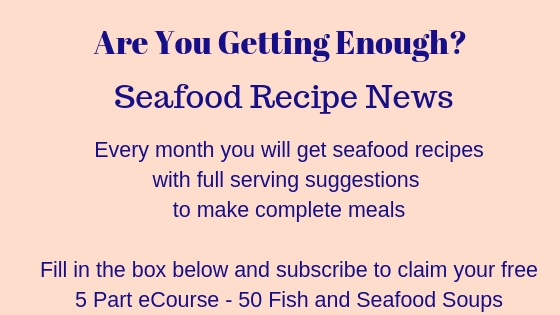 Ever popular Garlic Shrimp - this is one that you'll have to cook just before serving but you can get all your ingredients prepared beforehand, in fact, you MUST get the ingredients ready as they take about four minutes to cook once they're in the pan. Don't overcook them as they will go rubbery. 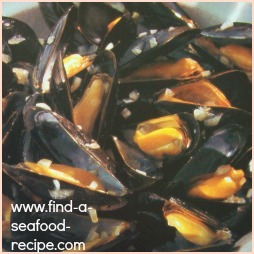 Beautiful Moules Mariniere - one of my all time favourites. If I see mussels on the menu when I'm out, then that's the decision made for me. I'm the only one in our house that likes them, so I rarely get to eat them. A very messy starter I'm afraid - provide a bowl for the shells and a finger bowl. Lots of kitchen roll too as you won't want your best napkins being used for wiping fingers. Crusty bread is the obvious choice to serve with them to mop up all that gorgeous juice. It's another recipe that you'll need to cook straight before serving as they don't keep, they start to go cold. Serve in nice deep bowls to accommodate the juice.